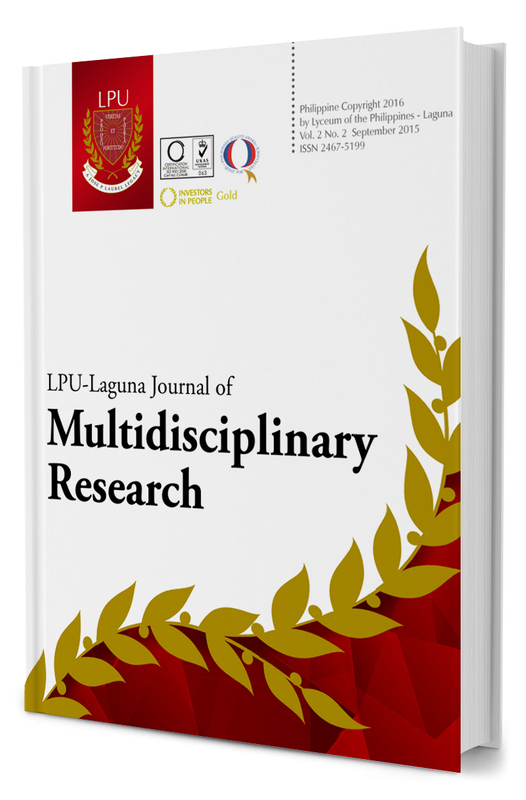 LPU Laguna Journal of Multidisciplinary Research is an official research publication of the Lyceum of the Philippines – Laguna. The articles are contributions from the members of varying disciplines of the school community. The journal entries are products of scholarly output of the faculty members and staff from the different colleges and offices of the institution. The research papers presented ranges from action research to basic research and have significant contribution in the operation of the institution. The journal is reviewed by researchers from other institutions and is published annually.